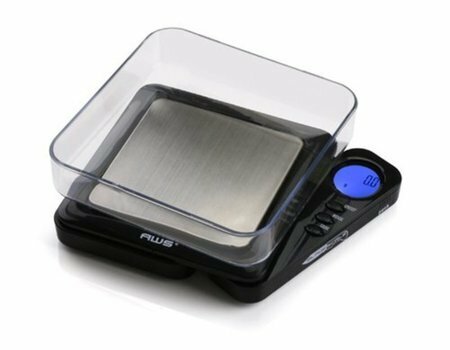 The Pizza Bible - Kitchen Scales that measure in small amounts. Kitchen Scales that measure in small amounts. What are you using to measure small amounts in? This is the exact scale I have. It's under $10, eligible for free shipping and measures in 0.1 gram increments. Perfect for yeast, salt, malt and other smaller quantity ingredients when making only a few balls of dough at a time. I use standard Pyrex (Anchor Hocking , Luminarc) custard cups (about 6 ounces or so--readily available, and I have four of many of these small glass bowls from Crate and Barrel, from the smallest at about 1 ounce (2" or so) to 4" in diameter: http://www.crateandbarrel.com/search?query=glass%20bowl. You can find similar bowls at bed, bath, and beyond, and at Sur la Table. They all stack, so they don't take up much space. I have 4 of each, so if I am doing a comparative experiment, I can put the same ingredient in each size bowl, line them up, and then I am ready to go. They easily will sit on a palm scale , which measures in tenths of a gram up to a couple of hundred grams, and even the inexpensive ones have a tare function. I am not home for a couple of days, but if it would be helpful, I could post photos tomorrow afternoon.